De Beers has roped in many industry players to make Tracr, which will work on Etherium blockchain technology. This could bring around 60 per cent of India's informal diamond industry on one platform. Internet of Things is everywhere. From bootstrap start-ups to unicorns, everyone is leveraging the concept. One more addition to this could be Tracr, a blockchain-based platform built by UK-based diamond mining and trading company De Beers, where diamonds, small or big, will be tracked from the mining stage till the product reaches a retail store. The platform will work on data science and physical identification techniques to curb duplicity and ensure transparency in the diamond trade. De Beers has roped in many industry players to make Tracr, which will work on Etherium blockchain technology. Players like Venus Jewells and Rosy Blue (New York) from the Indian diamond industry, which is the largest processor of diamond products in the world, have also tested its pilot version. The project would benefit the industry with better product delivery, greater efficiency and boost in overall revenue. 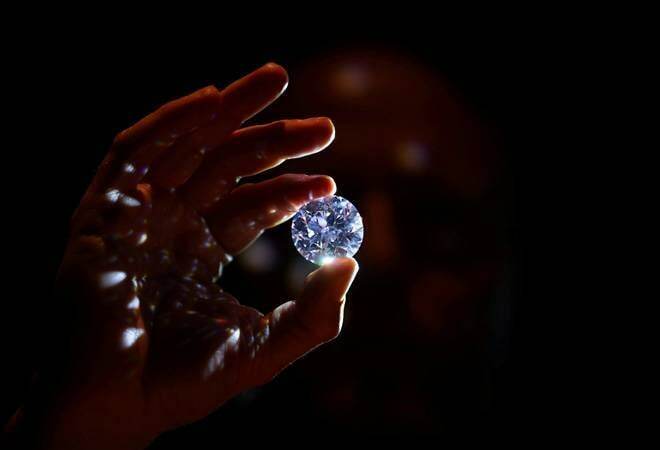 "The project will cover the full diamond value chain - from the mine to the end consumer - providing consumers with confidence in the product, the trade with increased efficiency, and lenders to the industry with greater visibility," said Feriel Zerouki, Senior Vice President, International Relations and Ethical Initiatives, De Beers Group, reported Business Standard. De Beers has partnered with corporate investment and incubation firm BCG Digital Ventures for the project. It will enable units with options like privacy controls over who can see what. "It keeps data private and allows participants to selectively share data with only those that they want to," Deepak Gopalakrishna, Director, Global Blockchain Projects, BGG Digital Ventures told the newspaper. The system would bring all small and unorganised businesses on a single transparent platform. From mining to cutting and polishing and then retail, a diamond will be tracked through its unique number registered on the blockchain platform. During the pilot project, the company focussed on tracking rough diamonds above 10.8 carats, but now Tracr can keep a track all diamonds between 5 and 10.8 carats. Every time it will go from one stage to another, each entry would reflect on the blockchain system, tracking it through all stages. To make the system free from nefarious elements, each member coming on board will have to go through a KYC (Know Your Customer) process. De Beers has asked all industry players, including miners and traders, to become a part of the system. Diamond traders also believe that integrating every diamond unit on one platform is a good idea, provided it help in bringing transparency and reducing paperwork. Integrating formal and informal diamond units would be a challenge but De Beers is confident the platform would be able to provide safe and secure services. The company has not decided on the cost of joining Tracr but is working on minimising costs for smaller players.